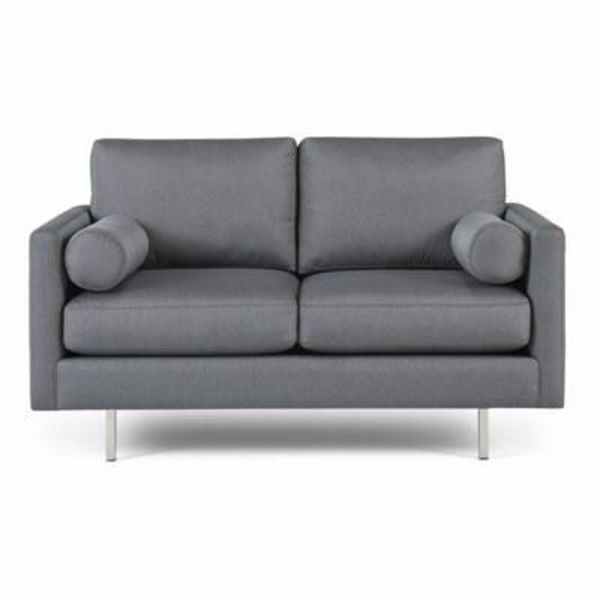 Mid-century proportions, inset legs, and clean lines set the Edie Loveseat apart. An updated classic, this loveseat is a visually striking addition to any space and ideal for urban open-concept lofts. Includes 2 bolsters for added comfort.